A home bar can provide a spot of indulgence for one, or be a central hub you gather round when entertaining. Whether you’re thinking of planning a wine bar, outdoor bar, or just making room for a bar cart, browse these images for inspiration, and ask yourself the following questions. Where should you position your home bar? The most popular location for a home bar is in or near the kitchen or dining room. 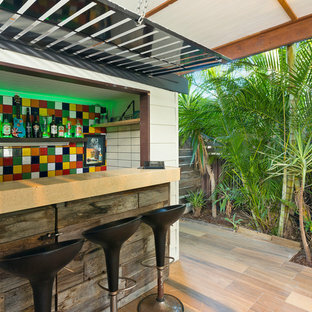 If you prefer entertaining outdoors, however, an outdoor bar can be a dream addition to any Aussie backyard – and imagine the luxury of swimming up to your very own pool bar! 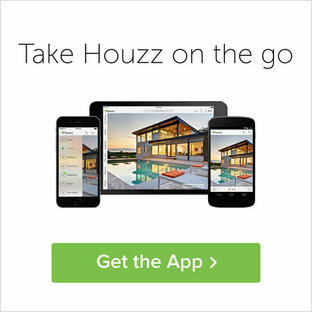 If you're building from scratch, a landscape architect can help you work out the ideal design for your space. What type of home bar is best suited to your needs? Home bars come in all shapes and sizes, and with an array of practicalities. Utilise an awkward corner with a cabinet bar; maximise floor space with a trunk bar, which unfolds to create a bar counter; or conveniently turn any space in your house into a bar room with a mobile bar such as a fun bar cart. If you prefer a more grandiose option, or all the amenities of a real bar, you can’t go past a built-in home bar. What home bar functionalities do you want to include? Decide how you will use the bar and whether you will need sinks, storage and refrigeration. Including a sink in your home bar design is a practical addition if you choose a location far from your kitchen. 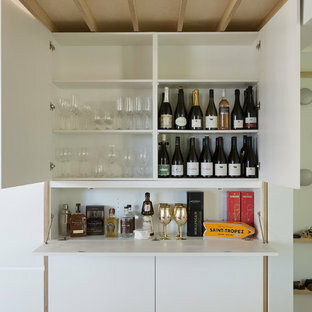 If you’re a wine connoisseur, you may want to include additional wine storage, whereas a mini bar fridge within the kitchen may need no extra storage at all. Home bars that will be used infrequently – perhaps an outdoor bar in the cooler months – may not need refrigeration and could suffice with large ice buckets. What bar furniture will you need? Seating is essential to any home bar and will impact the style of your home bar design. Bar stools, for example, come in an array of materials and styles, from traditional wooden bar stools, to resort- and industrial-style stools. Storage is another important element, so look for a liquor cabinet and wine racks. Next, if you are creating a freestanding station, you will need a bar table, which are taller and shallower than regular dining tables. Check that your stools and table height work together before you finalise any home bar designs. How can you personalise your bar design? Bar tools and accessories are an easy and interchangeable way to personalise your bar design. You may want to create a wine bar, tavern-style bar or retro bar, so look for wine glasses and tumblers, for instance, that will help carry this style. Coasters, bar mats or signage will help you to further achieve your desired look. 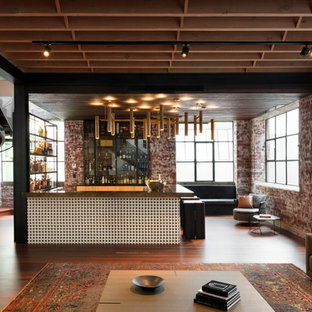 This is an example of an industrial home bar in Melbourne. 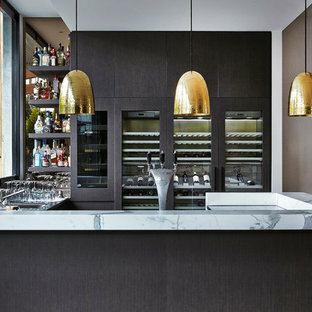 Contemporary u-shaped home bar in Melbourne with flat-panel cabinets, dark wood cabinets, marble benchtops and dark hardwood floors. 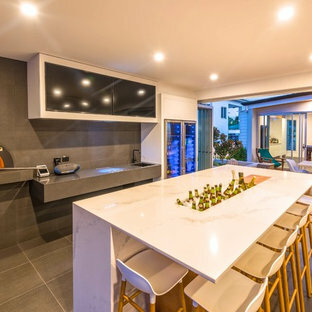 This is an example of a beach style l-shaped seated home bar in Sunshine Coast with blue cabinets, quartz benchtops, white splashback, ceramic splashback, concrete floors, grey floor, white benchtop, a drop-in sink and flat-panel cabinets. Photo of a contemporary single-wall wet bar in Sydney with flat-panel cabinets, white cabinets, white splashback and white benchtop. Inspiration for a large contemporary galley wet bar in Sunshine Coast with an undermount sink, white cabinets, quartz benchtops, grey splashback, ceramic splashback, ceramic floors, grey floor and white benchtop. 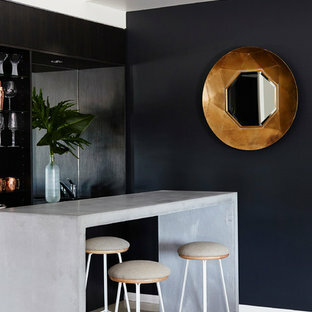 Design ideas for a contemporary galley seated home bar in Other with open cabinets, black cabinets and concrete benchtops. 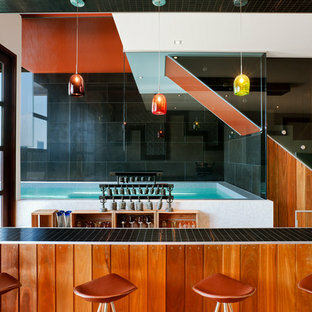 Photo of a contemporary single-wall seated home bar in Other with brown cabinets. This is an example of a beach style seated home bar in Gold Coast - Tweed with multi-coloured splashback, beige floor and beige benchtop. Contemporary u-shaped seated home bar in Gold Coast - Tweed with shaker cabinets and black splashback. 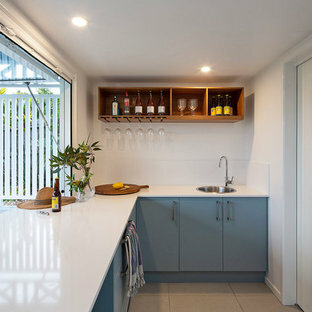 Design ideas for a mid-sized beach style seated home bar in Brisbane with an undermount sink, white cabinets, quartz benchtops, dark hardwood floors, brown floor, white benchtop, open cabinets and glass sheet splashback. Design ideas for a contemporary galley seated home bar in Sydney with flat-panel cabinets, dark wood cabinets, medium hardwood floors, brown floor and grey benchtop. Inspiration for a contemporary single-wall home bar in Sydney with no sink, open cabinets and wood benchtops. Contemporary single-wall wet bar in Perth with flat-panel cabinets, dark wood cabinets, mirror splashback, concrete floors, grey floor and white benchtop. Inspiration for a beach style bar cart in Sydney with light hardwood floors and beige floor. 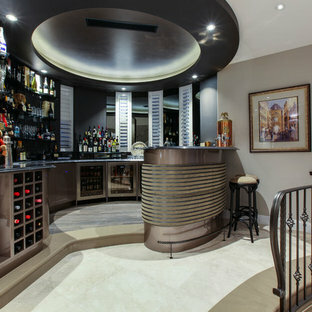 This is an example of a contemporary home bar in Perth with grey floor. Inspiration for an expansive contemporary galley seated home bar in Geelong with an undermount sink, flat-panel cabinets, medium wood cabinets, quartz benchtops, timber splashback and medium hardwood floors. Inspiration for a small country single-wall home bar in Brisbane with an integrated sink, medium wood cabinets, concrete benchtops, grey splashback, stone tile splashback and flat-panel cabinets.